The Oregon State Senate passed a bill Tuesday that would bypass the Electoral College. The legislators passed Senate Bill 870 in a 17-12 vote, which would make Oregon another state to join the National Popular Vote Compact. States under the compact agree to give their electoral votes to the candidate who wins the popular vote in the presidential election. Oregon’s House of Representatives will vote on the bill next. If successful, it will then go to Democratic Governor Kate Brown to sign or veto it. 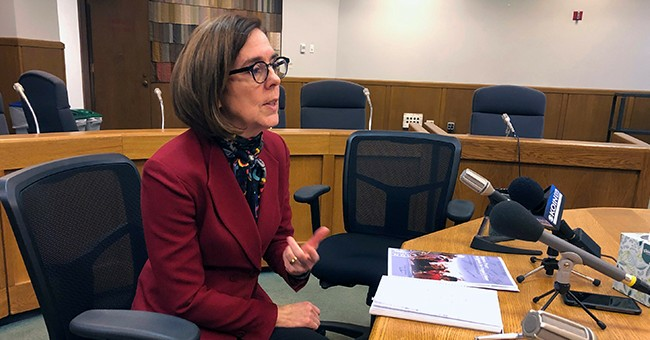 According to Oregon Public Broadcasting, the governor’s office said Brown supports the bill. Other states in the compact include New York, Rhode Island, Vermont, Washington state, Maryland, Massachusetts, New Jersey, California, Colorado, Connecticut, Delaware, Hawaii, Illinois, New Mexico and the District of Columbia. One of the chief sponsors of the bill, Sen. Michael Dembrow (D-Portland), said that it was high time that Oregon joins the other states in the compact. Despite Republican Presidents George W. Bush and Donald Trump both winning the Electoral College vote, even though they lost the popular vote in their elections, Sen. Shemia Fagan (D) said that moving to a popular vote will be just as good for Republicans as Democrats. But not everyone in the Senate was on board. Sen. Tim Knopp (R) said that Oregon’s vote would matter less in the presidential election if the bill becomes law. Knopp referenced a research paper from the Cato Institute, which found that over half of the country would lose influence in a direct election. Sen. Fred Girod (R) expressed the same concerns. He believed the decision for a direct election should have gone toward the people and that his fellow senators signed off whatever power Oregon had to the more influential states. “The last thing I’d want to do is sign my future over to California and New York,” he said.